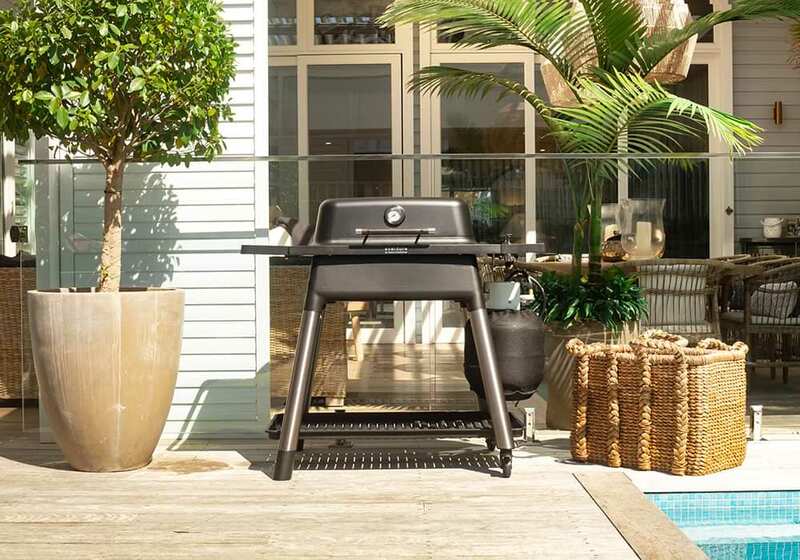 The Hub Charcoal Barbeque by Heston Blumenthal is designed for outdoor entertainers with a flair for performance. This barbeque merges the rich history of charcoal cooking with a minimal Danish design aesthetic. This innovative barbeque makes creating the authentic charcoal taste, virtually effortless. Now it's easy to keep your umbrella upright. This sturdy granite base is designed to place your outdoor umbrella in so it doesn't keep toppling over. Weighing 40 kg's, it makes for a solid foundation for the safe use of outdoor umbrellas. Add the finishing touches to your outdoor oasis with the Barop Grey Outdoor Rug by Domani. This outdoor rugs neutral colour pallet allows it to be easily incorporated into a range of outdoor settings and will instantly add a sense of natural opulence. Add the finishing touches to your outdoor space with the Amalfi Outdoor Cushion by Rapee. 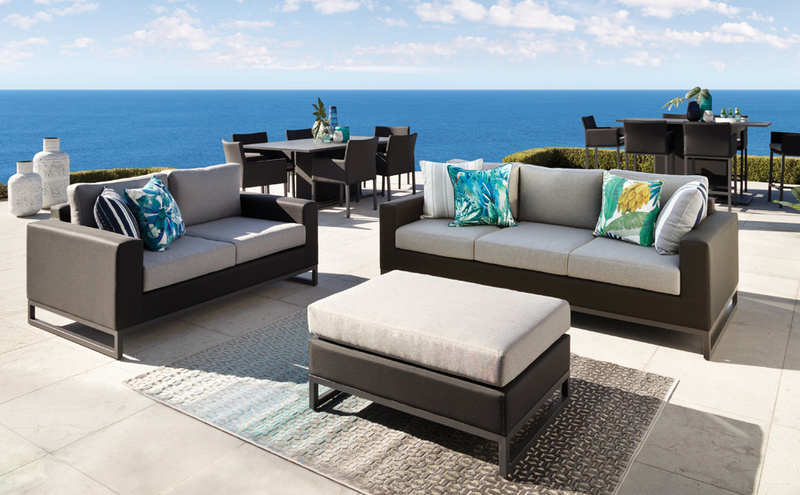 Outdoor cushions are essential to softening the overall look of your alfresco dining, lounging and entertaining areas. 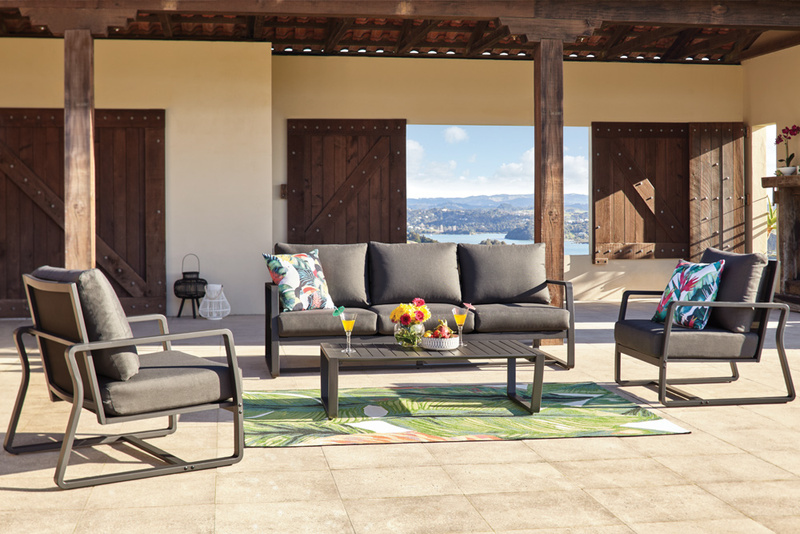 The Amalfi range is available in a range of colours so you can find it easy to find the perfect cushion to complement your outdoor space. 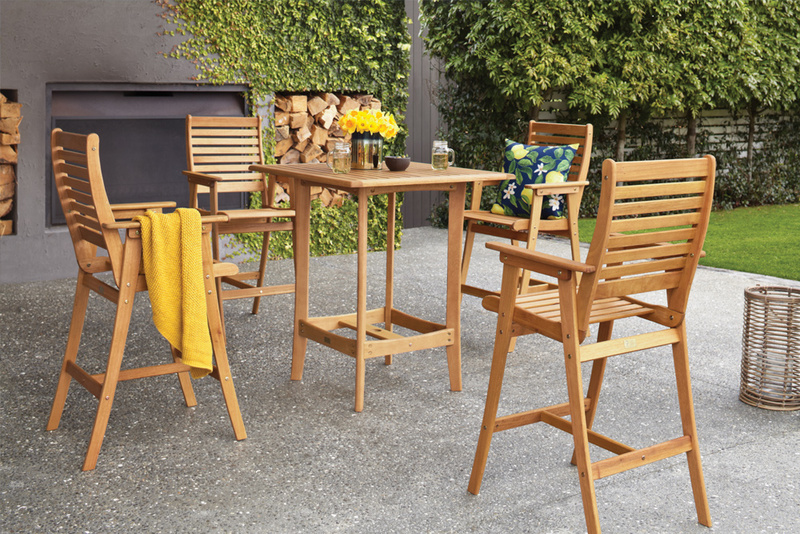 Make your outdoor space an extension of your home with the Jax Outdoor Dining Chair. This dining chair features a traditional design that will enhance any outdoor space. Made from UV resistant Polypropylene this chair offers an all weather, fuss free seating option. It is comfortable and hard wearing making it ideal for families with little ones. Treat yourself to Teppanyaki style cooking! The Everdure Furnace Teppanyaki Plate by Heston Blumenthal allows you to enjoy a Teppanyaki style dining experience in the comfort of your outdoor oasis. Remove the middle grill from your Furnace Barbeque and slide in this teppanyaki plate to create mouth watering masterpieces that are both healthy and delicious. Enjoy authentic charcoal cooking at home or away. The Cube Portable Barbeque by Heston Blumenthal is made from lightweight steel and features a built-in heat protection shield so you can use this barbeque almost anywhere. 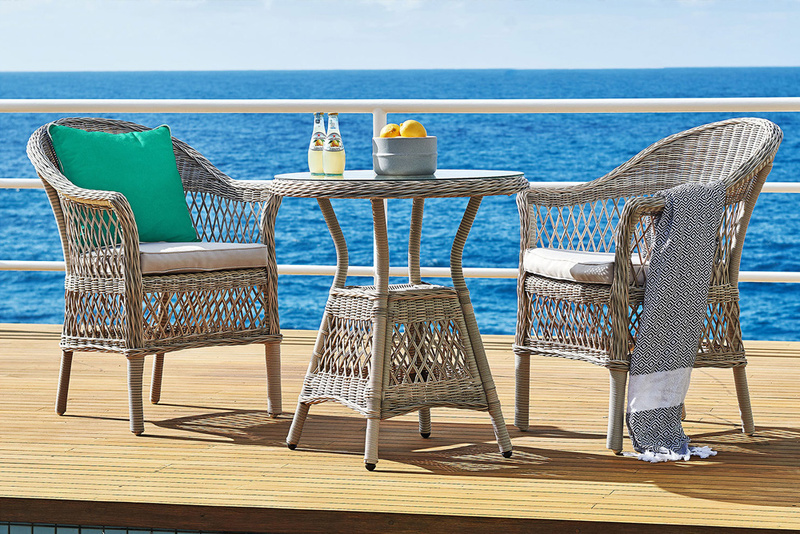 Make your outdoor space an extension of your home by embracing the modern design of the Mikado Outdoor Dining Chair. This dining chair features a sleek and sophisticated design that will enhance any outdoor space. It's aluminium framing and sling seat provides support and comfort where you need it most so you can sit back and enjoy the long summer days. 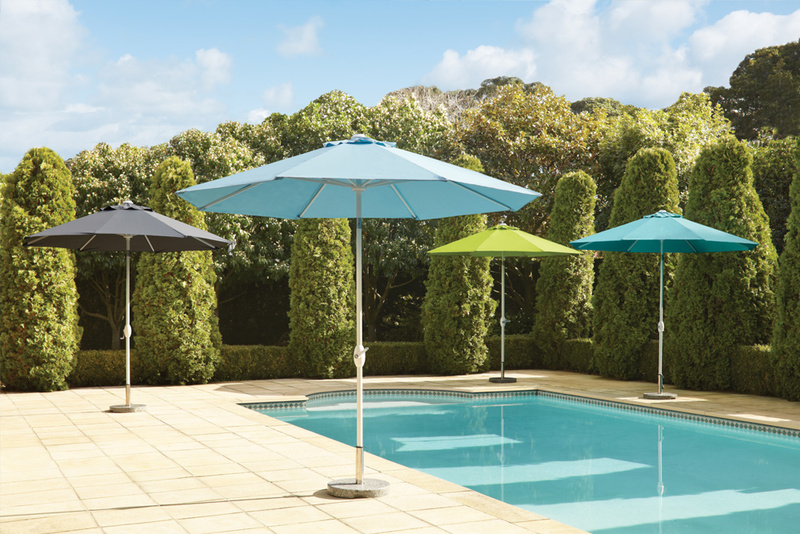 The Triton Outdoor Umbrella will make a great addition to your outdoor living space. 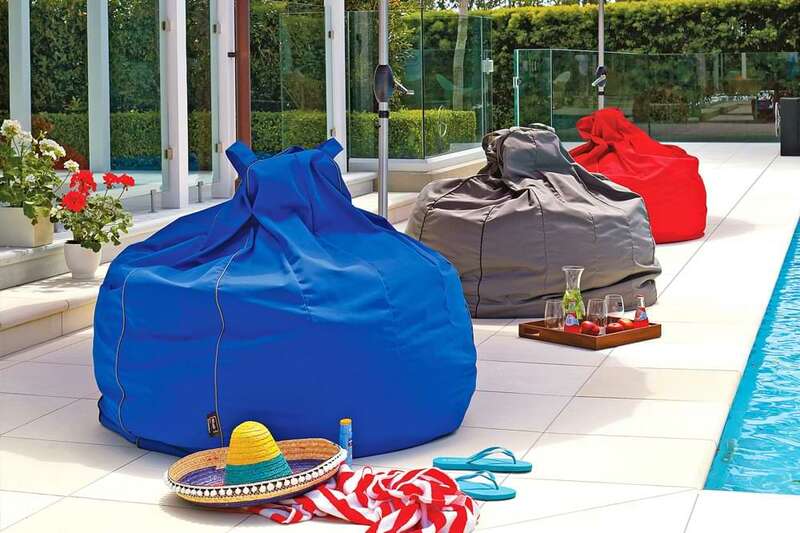 Relax in the shade on a hot summers day and bring a touch of colour to your backyard, deck, pool or patio area.